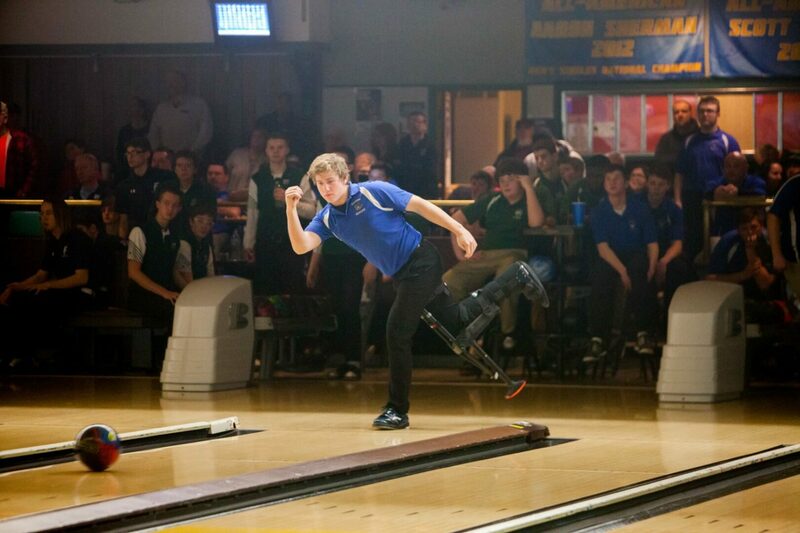 That’s what happened to the Ravenna boys bowling team last year at the Greater Muskegon Athletic Association Bowling Tournament, when the Bulldogs made it all the way to the finals before losing to rival Oakridge. 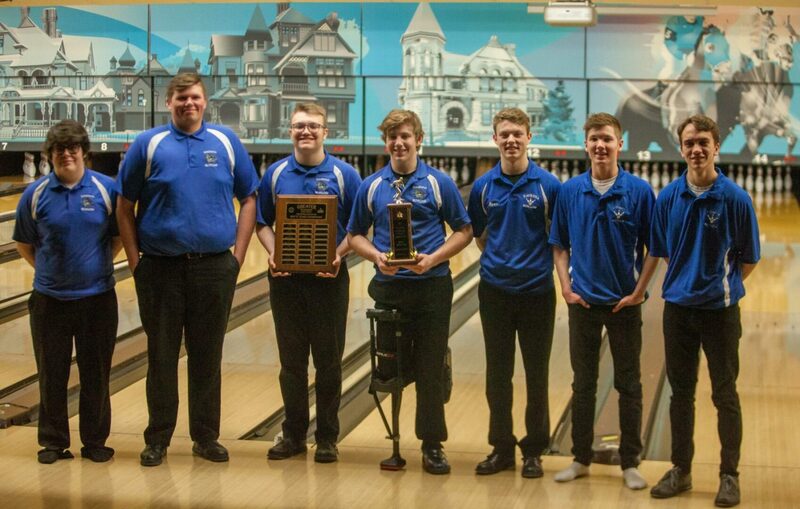 But the Bulldogs went home much happier on Wednesday after defeating Orchard View 388-311 in the finals to capture the GMAA tournament championship at Northway Lanes. To make things even sweeter, Ravenna beat defending champion Oakridge 378-292 in the semifinal round. Oakridge’s Alyssa Major took first place over all with games of 190 and 222 for a 412 total. The Bulldogs have been having a great overall season, with a 14-1 dual record. That’s even more impressive, considering Derek Place, who is perhaps their best bowler, has been competing for most of the season with a special brace on his leg. The brace is necessary because Place broke his ankle and fibula on late December while jumping on an indoor trampoline. But Place was out there competing with his teammates on Wednesday, and the Bulldogs bested the top competition from the area. Orchard View beat Fruitport in the other semifinal match, 344-315. 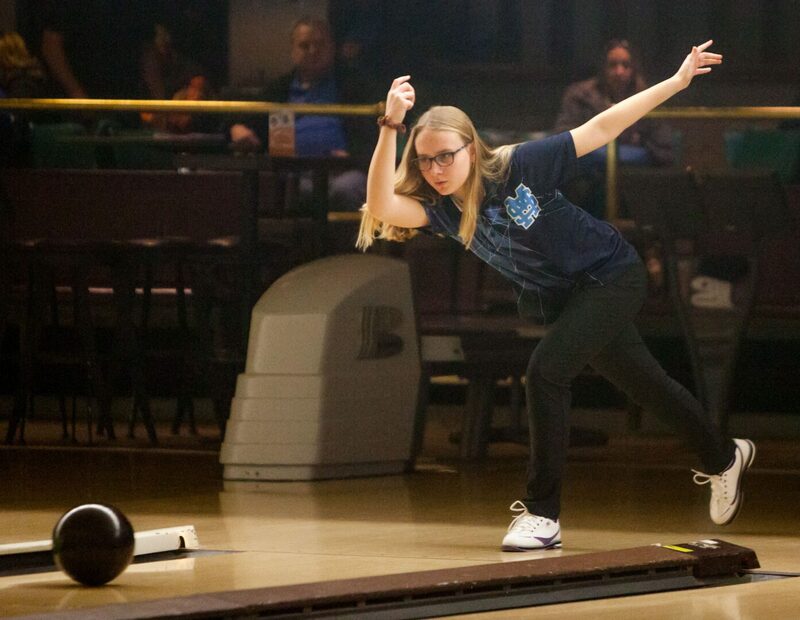 The Mona Shores girls bowling team faces a lot of tough competition in tournaments from teams from all over the state. 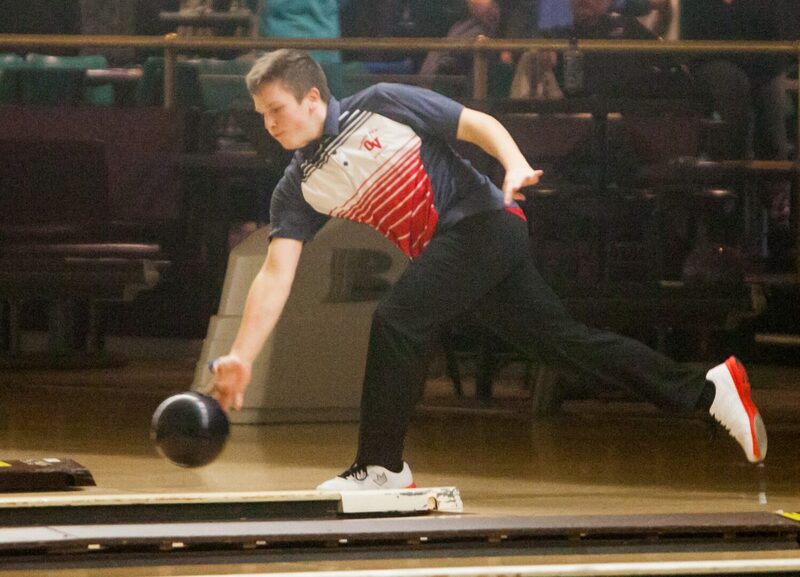 Oakridge’s River Zwart took first place over all in the boys competition, bowling games of 214 and 219 for a 433 total. But the competition doesn’t get much tougher than it does in the Muskegon area,, according to Sailors co-coach Brian Graham. That’s why the Sailors were so happy to win their second straight GMAA tournament title on Wednesday. They defeated Reeths-Puffer 285-272 in the finals, after downing Oakridge 344-272 in the semifinals. “We’ve got some tough teams in this area,” Graham said. “This is a nice confidence-builder. It’s a good tune-up for going into regionals next week, and hopefully the state championships the week after that. The tournament championship was the second of the season for the Sailors, who also have a dual record of 10-2. Bowling for the Sailors on Wednesday were Krystina Richards, Bailey Graham, Nyla Gill, Marisa Bacon, Morgan Gerrans and Dani Mack. 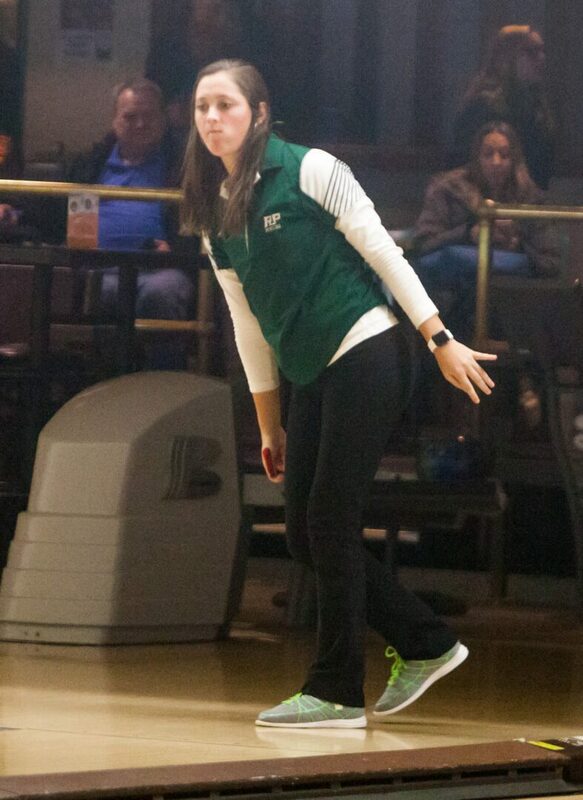 River Zwart of Oakridge went through nearly four years of varsity bowling without winning a tournament. 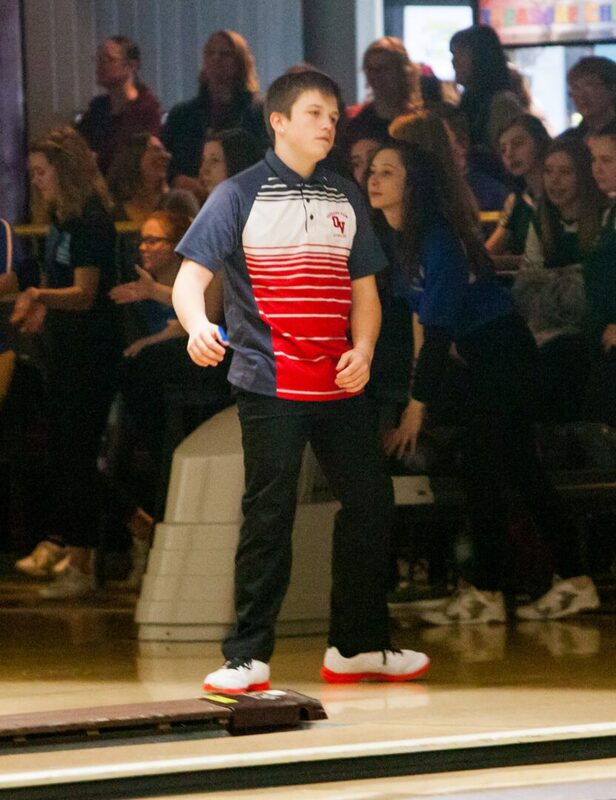 But he finally broke through on the big local stage on Wednesday, taking first place in the individual boys competition at the GMAA tournament. 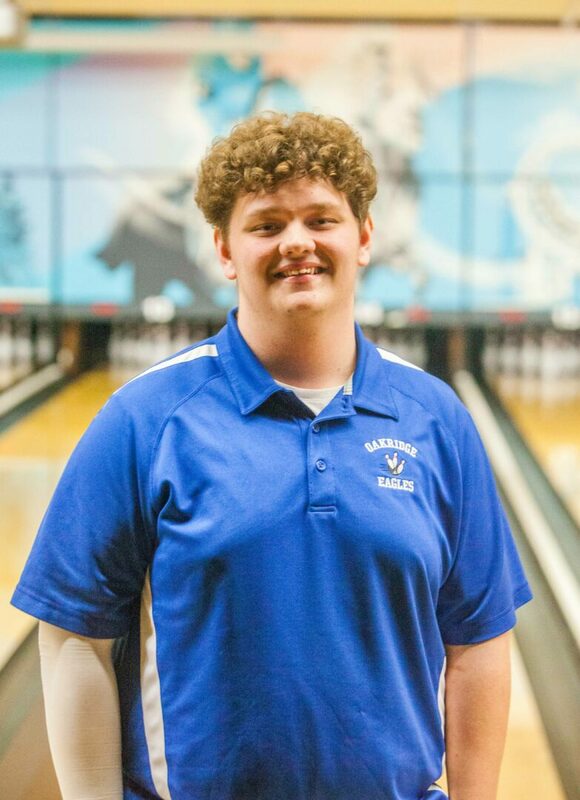 Zwart bowled sizzling 433, with game scores of 214 and 219, to easily outdistance second-place Brady Bowen of Orchard View, who bowled a combined 394. “I’d say I’ve been having a pretty good season, but today was an even better day,” said Zwart, a senior. “I could tell when I threw my first practice ball that it was going to be a good day. I didn’t think I was going to come in and win it, but I did. 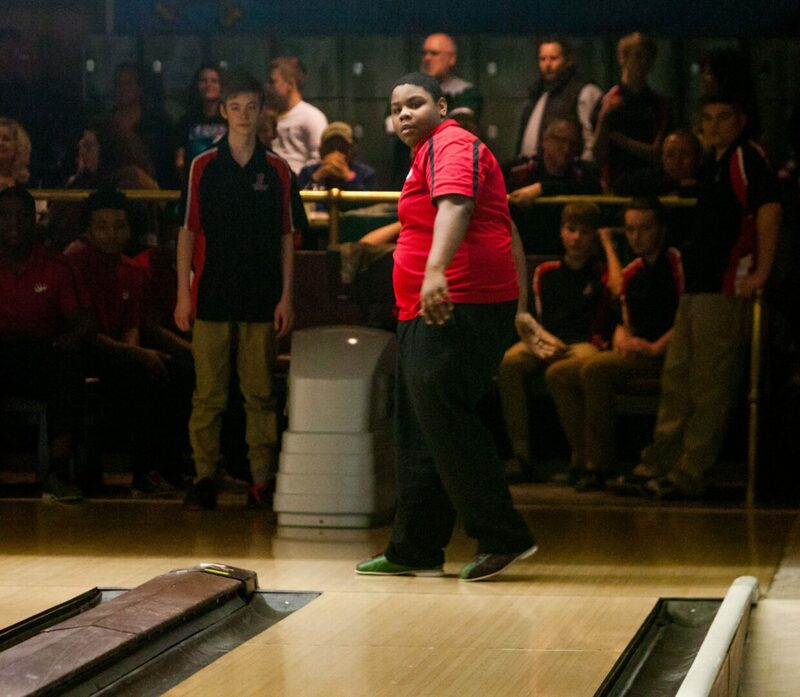 Rounding out the top 10 in the individual boys competition were James Phelps of Oakridge (385), Brandon Jones of Oakridge (384), Jamell Williams of Western Michigan Christian (383), Caleb Sibley of Orchard View (370), Connor Hines of Fruitport (369), Jon Wildey of Fruitport (365), Jacob Calkins of Mona Shores (361) and Evan Simonis of Fruitport (354). Nobody should be surprised that Alyssa Major of Oakridge won the girls individual title at the GMAA Tournament on Wednesday. To put it mildly, she’s been on a roll. 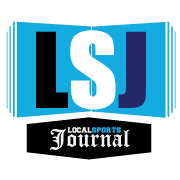 Major took first place in the last four tournaments that her team has competed in, and she very much wanted to keep her streak going against local competition. She did just that, bowling games of 190 and 222 for a combined score of 412. Major outdistanced second-place Krystina Richards of Mona Shores, who finished with a combined score of 367. Rounding out the top 10 in the girls competition were Morgan Lockhart of Ravenna (345), Nyla Gill of Mona Shores (342), Jackie Jacobs of Whitehall (342), Emily Prell of Holton (337), Marisa Bacon of Mona Shores (333), Karli VanDuinen of Reeths-Puffer (320), Dana Wadkins of Reeths-Puffer (320) and Isabella Behling of Reeths-Puffer (319). 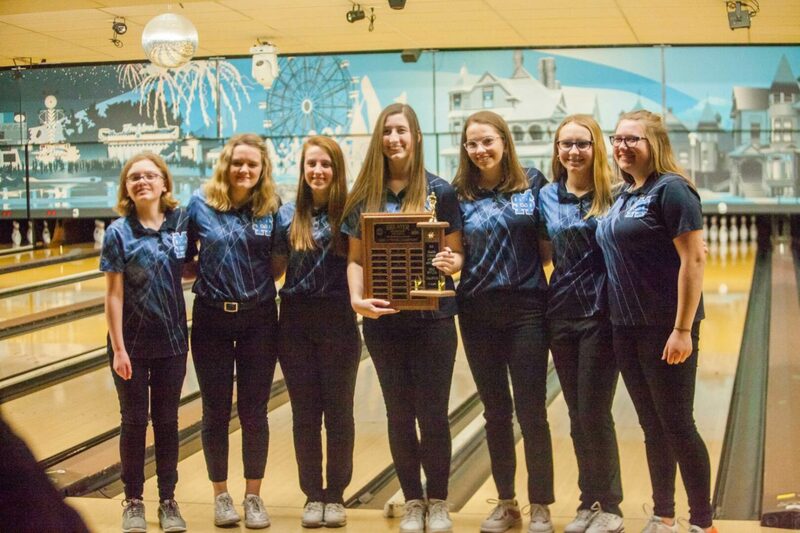 Mona Shores girls bowling team.